A holiday cottage, holiday home, or vacation property is accommodation used for holiday vacations, corporate travel, and temporary housing often for less than 30 days. Such properties are typically small homes, such as cottages, that travelers can rent and enjoy as if it were their own home for the duration of their stay. The properties may be owned by those using them for a vacation, in which case the term second home applies; or may be rented out to holidaymakers through an agency. Terminology varies among countries. In the United Kingdom this type of property is usually termed a holiday home or holiday cottage; in Australia, a holiday house/home, or weekender; in New Zealand, a bach or crib. A second home or vacation home can be a home owner's asset as renting it could provide additional income. Vacationers are opting for a single family residence that they can rent on a nightly or weekly basis. Vacation type properties are becoming popular not only for existing homes but also for building one. 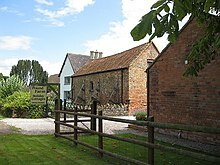 Holiday cottages are found across the UK, with many destinations from town houses to forests. Many areas in the UK have seen a growth in the Holiday Cottage industry such as the Lake District and Cornwall. There are typically two routes to renting a holiday cottage. Either direct with an owner, or through the auspices of a holiday cottage agency. 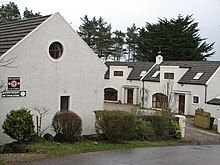 Several holiday home portals list cottages available direct from the owner, and charge an fee for listing the property. Today’s global short-term vacation property rental market is estimated to be worth $100 billion.The holiday cottage market in both Canada and the UK is highly competitive – and big business. In the UK, this increased competition has led to significant improvements in the quality of properties on offer. This improvement in standards has in turn contributed to the increase in the popularity of holiday cottages for weekend breaks, offering in many cases the same standard of accommodation as an hotel, yet with the increased freedom that a holiday cottage offers. One other significant development in the UK holiday cottage market is that of Farm Stays, driven partly by the farmers and the returns they get from farming itself, but also by the desire of parents wanting their children to experience rural life first-hand. The rapid development of the Internet and technologies such as telephony and personal digital assistants that allow people to work from home since circa 1995 has blurred the division between vacation property and a primary residence. Some business people, including the British entrepreneur Richard Branson, use their luxury real estate for both business and leisure purposes. Holiday homes and second homes comprise 14% of the housing stock in Snowdonia, Wales, compared to the figure of 1% for the whole of Wales. Only in Gwynedd has the council put in place measures to control the number of holiday homes. But they only control new developments, by withholding permission where consent is likely to raise the figure in any community above 10%, they do not stop anyone from buying a holiday home. The number in Cornwall and the Isles of Scilly was calculated to be 5.6% in 2004 and 2006, this is the region which has the highest number of second homes in England. Within a year alone, between 2004 and 2005, the percentage of holiday/second homes in England increased by 3.3%. There were 29,299 holiday/summer homes in Scotland on the 2001 Scottish Census, which accounted for 1.3% of Scotland's housing stock. This figure was 19,756 in 1981, but the majority of the increase occurred during the 1990s. The greatest increase was seen in urban areas, contrary to the usual trends, and increased especially in Edinburgh and Aberdeen. But the majority of holiday/second homes are still to be found in rural areas, notably, 47% of these are to be found in the remote rural areas, where one in every eight house is a holiday or second home. The figure in France is also fairly high: approximately 10% of all the housing stock is a holiday or second home, but the majority of these are owned by French. There are approximately 300,000 homes, or 1% of the total housing stock which are the property of owners from abroad. Of this percentage 28% are owned by British owners, 14% Italian, 10% Belgian, 8% Dutch, 3% Spanish and 3% American. In 2000, 3,578,718, or 3.09% of the American housing stock, were holiday or second homes, compared with 2.66% in 1990, and 1.87% in 1980. 26% of all these are located in the north-eastern states, with approximately 250,199 (7% of all the second homes in the U.S.) located in New York, and Maine having the largest percentage of its housing stock as second homes. Second homes are immensely popular, particularly during Canada's summer season. They are referred to differently in different parts of the country; in Ontario it is usually 'cottage', while 'cabin' or 'the lake' is used in much of the rest of Canada. In Ontario, the most popular destination is the Muskoka region of Ontario, known for its many lakes and forests. Muskoka is even referred to as "cottage country" and sees over 2.1 million visitors annually. On the East Coast, the Maritimes are home to many oceanfront cottages. Likewise, British Columbia on the West Coast is another popular vacation destination for seekers of vacation properties. In the Canadian Prairies and British Columbia Interior, vacation properties are located near or on freshwater lakes. Chalets at ski resorts are also common during winter. It should be available for commercial letting to the public for a total of 140 days in the 12-month period. The total periods of long term occupation may not exceed 155 days during the 12-month period. Second home and holiday home owners used to be able to claim discounts in their council tax in the United Kingdom, as the property is vacant for much of the year. This is no longer true in many areas, including Carmarthenshire; if the property is empty (but furnished) no discount is permitted and the owner will be liable to pay the tax in full. But, In Cornwall, since 2004 second home owners can claim a 10% discount in their council tax. Prior to 2004, they could claim a 50% discount in Cornwall, they are still able to claim 50% in many other areas in England. The Welsh movement, Cymuned, promote the principle that owners of holiday homes should pay double the standard rate of council tax, as they do not otherwise invest in the local community. Testimony of this is to be seen in a report on the effect of holiday homes in Scotland, which found that those who went on holiday to Scotland spent an average of £57 a day, in comparison to just £32 a day spent by those visiting their holiday or second homes. Owners of holiday homes will occasionally move to their second homes permanently upon retirement, this can be a threat to the culture of an area, especially in Wales where the influx of non-Welsh speakers affects the percentage of Welsh speakers in the area and reduces the use of Welsh in everyday life. Hundreds of second homes were burnt between 1979 and the mid-1990s as a part of a campaign by nationalist movement Meibion Glyndŵr to protect the indigenous language and culture. ^ "Short Term Property Management Packages". www.quickstay.ca/. Retrieved 14 December 2018. ^ "Challenges and Opportunities Facing Canada's Tourism Industry". www.ic.gc.ca. Retrieved 1 August 2014. ^ "Tai:Gofod mewn Cartrefi" (in Welsh). Snowdonia National Park. ^ a b c "The Impact of Second and Holiday Homes in Rural Scotland". Communities Scotland. 2006-01-02. ^ a b "Second Homes by parish (Cornwall)". Local Intelligence Network Cornwall. April 2004. ^ a b Matt Weaver (2006-07-05). "Cornwall and Scilly Isles top second homes list". The Guardian. ^ "First time buyers, are they impacted by second home ownership? -Savills". First Rung. ^ "The Impact of Second and Holiday Homes in Rural Scotland" (PDF). www.scotland.gov.uk. Retrieved 3 August 2014. ^ "A summary series of recent research from Communities Scotland". PRECiS. October 2005. ^ "Brits Top List of Second Home Owners in France". Nvillas. 2008-07-17. ^ "Treth y Cyngor: Gostyngiadau ac Eithriadau" (in Welsh). Carmarthenshire County Council. ^ "Second Homes Council Tax Helps Build 133 Affordable Homes for Local People". Cornwall County Council. April–May 2005. ^ a b "Tystiolaeth i'r Pwyllgor Diwylliant". Cymuned. 2006-03-15. ^ "Baladeulyn, Nant Nantlle Heddiw" (in Welsh). Dyffryn Nantlle Official Website. Wikivoyage has a travel guide for Second homes.